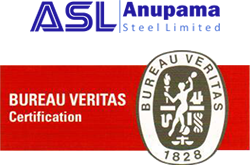 Anupama Steel ltd , India's pioneering Ship Recycling Company is based in Alang, Asia's Major Ship Recycling Yard. The Company's business encompasses of Ship Recycling. Business units generate synergies leading to the ultimate benefit of all its stakeholders. Today, with over three decades in the business largely known for risks and variables, the company has established a legacy of high standards in the "Ship Recycling" industry''. The company is listed in India's one of the leading financial exchange Ahmedabad Stock Exchange (A.S.E.) ,since more than two decades. Established in 1980's , has expeditiously emerged as a clear leader in the industry on the quantifiable as well as its scale of expertise and experience on sustainable and strategic growth in the ship recycling industry. The Company has started its ship recycling activities with a small beginning and achieving an annual turnover of more than 110 Crore rs per annum in F.y 2013-14. "Ship Recycling" is a challenging industry with numerous variables and risks involved like complex processes due to structural complicity, environmental impact, safety and other health issues concerns. The Company has demonstrated its commitment towards its workers and to the environment as dominant, with an excellent record for worker safety and environmental protection, abiding to the stringent yet essential national and international protocols. The Chairman of the group Shri Omprakash Agarwal is engaged in business of the company since last two decades and his ability to lead and provide clear vision of Growth has helped the company in achieving success in ship Re-Cycling Business.